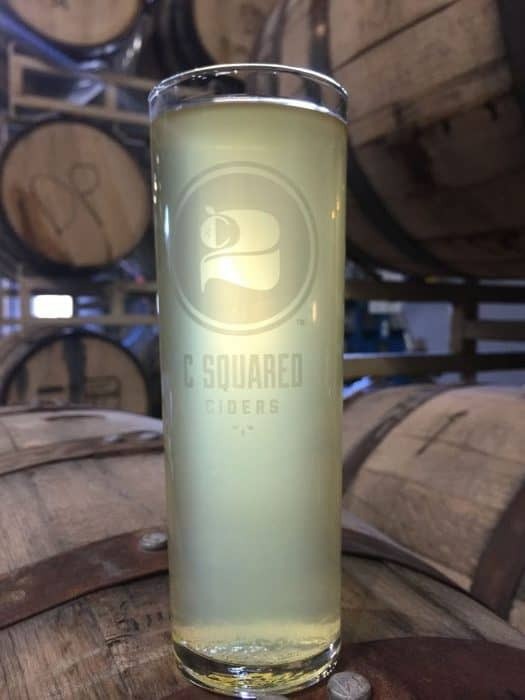 C Squared Ciders will be celebrating a new release on April 21 with cider sipping and an all-Colorado menu to pair with it. The festivities will unfold starting at 1 p.m. at the C Squared Ciders tasting room, the Rackhouse Pub, and will run until closing at midnight. The new beverage, Zuma, is a Colorado heirloom apple traditional farmhouse-style cider made from a variety of apples including Golden Delicious, Winesap, Jonathan, Winter Banana and a few bitter crabapples of wild descent, all from the Montezuma Valley area of southwest Colorado. The apples were harvested from the region with the assistance of the Montezuma Orchard Restoration Project. Once harvested, pressed and fermented, the cider was then aged for six months in used American oak whiskey barrels. The end result is a cider with aromas of juicy watermelon rind, wildflower honey, clover, oak and vanilla. The flavor is pleasantly balanced, with wild acidity followed by a dusky minerality, a buttery but slim mouthfeel and a lingering drying finish. In addition to sampling the newest C Squared Ciders beverage, guests who attend the release party can enjoy an all-Colorado pairing menu featuring Colorado-sourced cheese, charcuterie and dried fruits. If you’re not able to make it to the release party, Zuma will be available in select craft beer and cider bars throughout Colorado starting the week of April 24. Find C Squared Ciders at 2875 Blake St. in Denver, Colorado; phone: (720) 437-1428.